Gov. 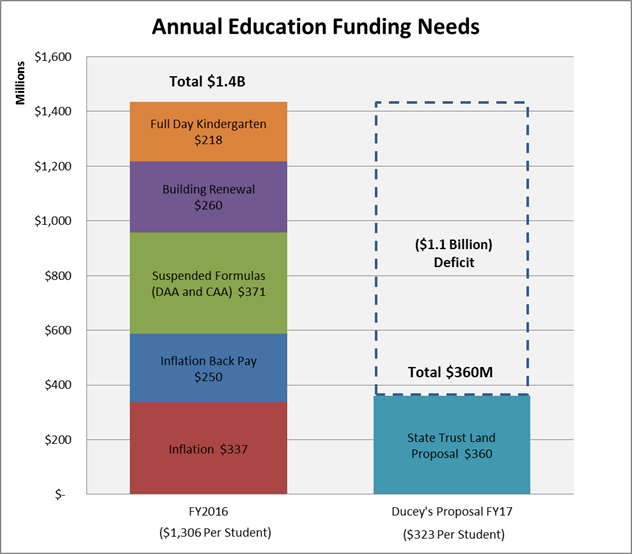 Ducey recently announced a new ballot proposal for school funding that – if it passes – could put about $320 more per student into schools in 2017. 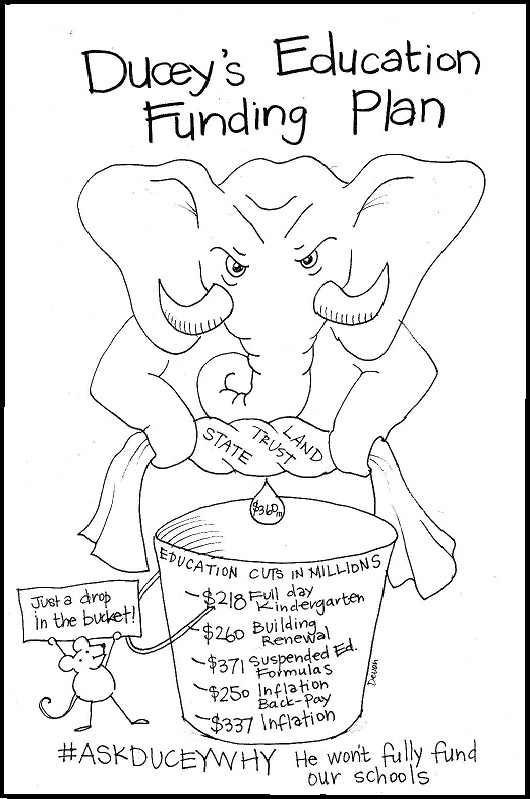 Since our schools have been struggling after years of systematic budget cuts, this funding plan is just a drop in the bucket. 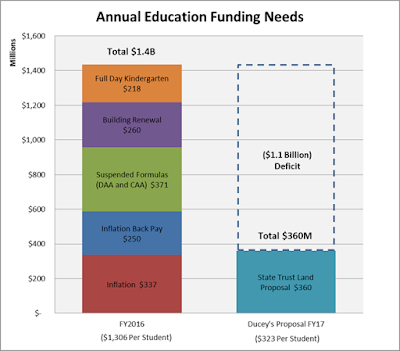 Overall, the governor’s idea would give schools $360 million a year for five years. That’s not a bad first start but it doesn’t get close to what our schools actually need. 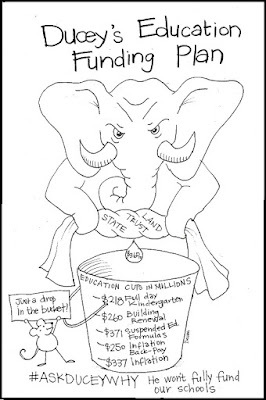 In reality, schools are owed more than a billion dollars annually because Republican-controlled legislatures have withheld that money for years. To get our schools back on track, we need a plan that would provide schools with at least an additional $1,300 per student. And that money is needed immediately. Some school facilities remain in disrepair, classrooms are crowded and teacher pay is at the lowest in the nation. A recent report from the Arizona Department of Education shows that thousands of teachers have left the state and that we can expect more to leave this year. If the governor is serious about investing in the future of our kids and our state, he should commit to getting money into classrooms now. There is about $460 million available in the Rainy Day Fund and state revenues are about $250 million higher than projected so far this year. The Republicans have the resources available to fund education and invest in the future of the state – they’ve made a choice not to. The governor should agree to pay the $330 million that the court says Arizona schools are due for inflation funding right now. And he should be working with stakeholders across the state to develop a long-term plan for fully funding education. We can’t afford to wait. And we need to #AskDuceyWhy he won’t fully fund our schools now.